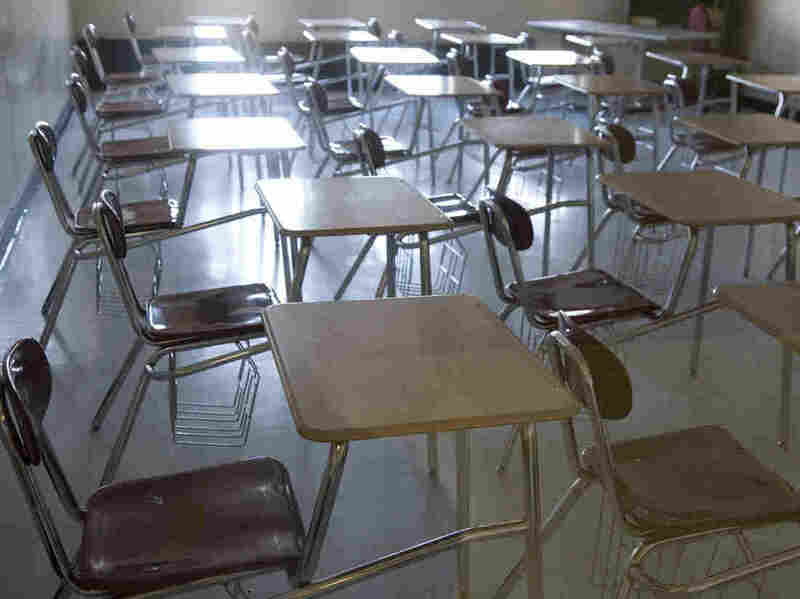 Colorado School District Switches To 4-Day Week To Save Money Superintendent Chris Fiedler expects the district will save about $1 million in transportation costs, teaching salaries and districtwide utilities. Colorado School District 27J has adopted a four-day school schedule in an attempt to save about $1 million a year. A Colorado school district intent on saving money has cut one of its greatest costs: teaching. District 27J, one of the state's larger districts, has dropped Mondays from the school week and switched to a four-day schedule as of Tuesday, the beginning of the 2018-2019 school year. Superintendent Chris Fiedler told NBC 9 News that the district will save on transportation costs, teaching salaries and districtwide utilities. "We anticipate about $1 million in savings," Fiedler said. 9 News reported that the change comes on the heels of six failed attempts by the district to raise additional money through bond elections. The district northeast of the Denver metropolitan area serves nearly 18,000 students and includes 12 elementary schools, four middle schools, four high schools and five charter schools. It is the 98th district in the state approved by the Colorado Department of Education to adopt the shorter schedule. Fiedler estimates that running fewer school buses alone will save the district about $700,000. "I realize this will be a significant change for our students, their families, and the communities we are so fortunate to serve, but our district can no longer be expected to do more with less financial resources," district officials said in a press release, according to 9 News. The district plans to offer child care on Mondays for $30 per child per day. Students will attend regular classes Tuesday through Friday and class time will be extended by 40 minutes per day. The schedule was submitted for approval by the Colorado Department of Education in March.